Motorola is all set to give competition to the rivals who had aggressively introduced new mid budget phones at affordable price points. 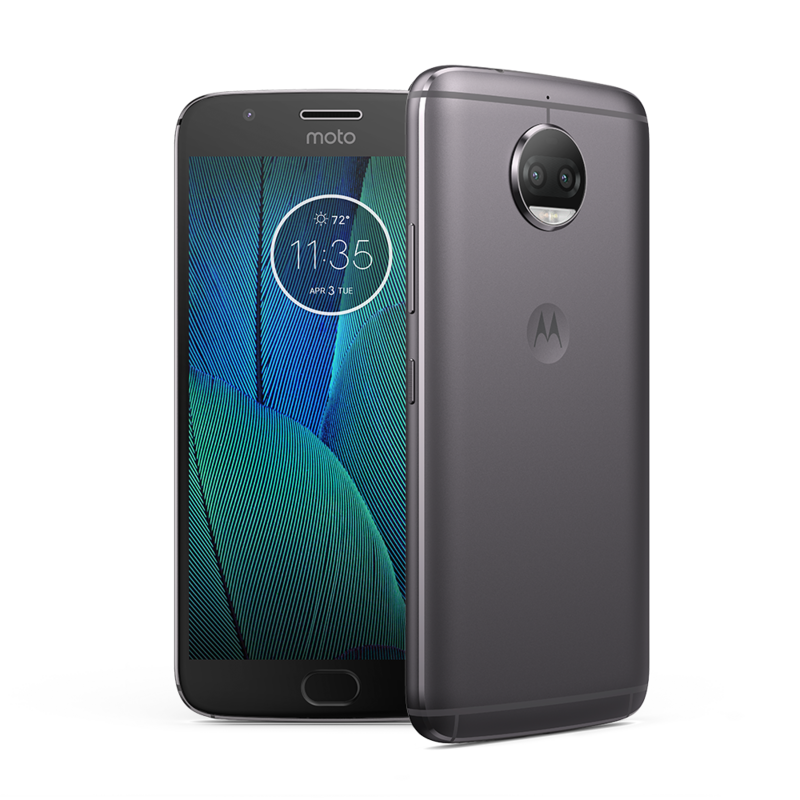 Motorola has launched its successful flagship Moto G and Moto X Smartphone to compete both at the low and high end of the highly competitive Smartphone market. 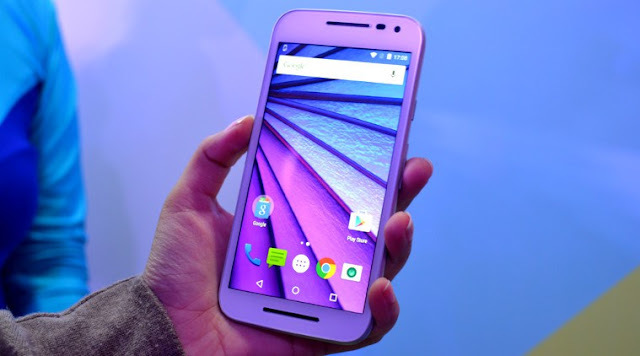 Motorola has introduced two new versions of its high end Moto X and a new version of Moto G Smartphone. With this it is taking head on against the popular products from rival Chinese manufactures and esteemed Samsung and Apple brands. The earlier version of Moto G launched in 2013 showed how a great Smartphone experience can be provided at a low price point. But this time around Motorola had even better by bring enhanced specifications at affordable range without comprising on the user experience. Moto G offer irresistible user experience coupled with amazing specifications, which a consumer can think about. Moto G comes in 2GB RAM and 16GB Internal storage as well as 1GB RAM and 8GB internal storage variants. Moto G new version is dust and water resistant, supports dual Sim cards and both can be used to access 4G connectivity. It comes up with a large 5-inch HD IPS display screen including Corning Gorilla Glass protection. The latest stock Android Lollipop will found on this device. This device is motorized by 1.4GHz quad core Qualcomm Snapdragon 410 processor. The cameras are also upgraded to 13 Megapixel on the back with dual flash and 5 megapixel snapper at the front. Moto X Style is an enhanced and beautiful version of the flagship Smartphone which is coupled with a highly powerful hardware under the hood. It features a QHD screen display of 5.7 inches coupled with latest powerful Qualcomm’s Snapdragon 808 Hexa core processor and Android 5.0 OS. Motorola has clocked this premium processor at 1.8 GHZ to provide an exceptional performance in handling multi tasking. Moto Styles offers 3GB of RAM and comes in 16GB, 32GB and 64GB storage variants along with external storage expansion support via MicroSD card. Motorola has laced the Moto X Style with a 21 megapixel front camera having dual CCT flash with capability of shooting videos at 4K resolution. For selfie Moto X have 5 megapixel snapper. Moto X Style has a marathon battery of 3000mAh, which can provide 30 hours of standby in a single charge. On connectivity front, it has 4G LTE, 3G, WiFi and other options. Moto X Play's features a 5.5-inch display of FHD 1080p screen and comes loaded with a 3630mAh battery. Moto X comes with latest Android Lollipop 5.1 coupled with 2GB RAM and 16 GB internal storage. A similar camera of 21-mega pixel and 5 megapixel selfie cameras will be found on the device. Motorola flagships Moto X Smartphone are serious contenders to take on the likes of premium devices launched by the Apple and Samsung in the recent past. Motorola Moto G Google Play Edition is one of the most successful mid-budgets Smartphone. It offers high end features like Qualcomm Snapdragon 400 1.2 GHz Quad-core processing unit, along with a 4.5 inch HD Gorilla Glass Display at jaw dropping affordable price. As result of such features, Motorola had sold out innumerable units all across the globe. 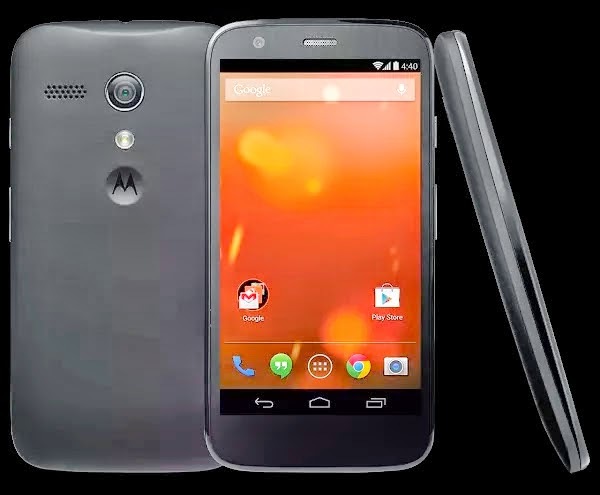 The Moto G GPe has introduced the update to upgrade your phone from Jelly Bean 4.4.2 to Android KitKat 4.4.4. Here are the steps, which would guide you to update the phone without any hassle. Install all the Motorola drivers. Enable the USB Debugging for updating process. Moto G should have an adequate charge preferably over 60% battery level. Back-up all the necessary data from the phone like the storage, SMS, Contacts etc. Stock KOT49H ROM and recovery should be installed. a. The Motorola customers are required to download the OTA update zip file of approximately 162 MB from the Motorola website. b. The users should switch off their phone completely. While switching on the phone the users are requires pressing the Volume Up + Volume Down+ Powers keys simultaneously. Very soon, a boot mode screen would be available. c. Using the volume keys users can down the menu and should select the Recovery option by pressing the Power Button. d. In the idle of the screen, a warning Android logo would be displayed. e. Moto G user now should press and hold the Volume Up and Volume Down for five seconds, then gently release the Power button. f. The Moto G will now be booted into stock recovery mode. ‘Android System Recovery <3e>’ text would be displayed at the top of the screen. g. Users should now connect their Moto G Smartphone to the PC via USB cable. h. Again, use the volume keys to highlight ‘apply update from ADB’ and select the said option by using the Power Key. i. The Moto G users should locate the folder on their PC where OTA file has been downloaded in the earlier step. Once you get inside the folder, then press Shift Key and right on an empty space. A list options would be displayed in the pop-up menu, click on the ‘Open Command Window Here’. j. A black screen command prompt will appear on the screen. l. The users are requires hold patience as this process would considerable time to finish. Once the process is completed select the ‘Recovery System Now’ from the recovery menu. m. The Moto G Google Play Edition will now reboot into updated Android 4.4.4 KitKat ROM. Just check the Android Version for your satisfaction. With this, the process of updating the Android Operating System is successfully completed. Now enjoy your latest Android your Moto G GPe handset and unfold all the wonderful opportunities and features provided by it. Motorola to regain its position in market has launched Motorola G. The best making of Motorola experienced at Moto G at affordable price compared to the previous one Moto D. Motorola join hands with Google and Google stamps prevails all over them to share surprise in common. For all you Motorola lovers, this will be a best choice to afford. • Display resolution is 1280x720 at 4.5-inch, 326ppi Display. • Memory storage up to 8 or 16G, therefore you can play with app in market and many more music. • A good camera quality produced at 5MP rear camera and supports 1.3MP front-facing. • To deal up with Wi-Fi connection it provides 802.11n, supports HSDPA over mobile internet. • Bluetooth is configured at version 4.0. • If you afford to get excellent mobile at low price, this with no surprise offers you the best. At first it is not going to offer a comfort zone, but on usage it offers you the best and similar to the model of iPhone 3G and iPhone 3G. The problem prevailing with Moto G states that, it is hard to remove back case whenever you need to switch to different. Micro USB port is really hard to middle up.An average customer feels it annoying unless he is used to it. Else other than this it feels a good design is offered. Moto G is not compromised with the features available in it. If offers many unique features such as Moto Care, for instance that offer technical support through message or phone. This tends to provide Driving, meeting, sleeping at different mode that surely excites you. Motorola Migrate offers to get old setting, text message, call history, media and lots more once you change over to another phone. This isn’t that smart compared to other phone but while using it, offers really smooth and quick OS operations. Considering this speech recognition also works out in same manner availing with accuracy. Owing to this advantage the cons of this product is it lags speed while using the browsers.Camera on Moto G isn’t that good, but sense as if ok on normal instance. Motorola has really worked out to bring a better screen at instance. It is not full HD, but clarity provided is worthwhile for money you offered to get that. 326ppi Display is used which looks similar iPhone 3G. High bar pixel density is provides as Apple has provided in iPhone 5s. Battery backup decides to be the braking factor to purchase a phone. This situation is made ease by Moto G offering a good battery backup. It seems phone has got around three days on average which seems really to be crazy for smart phone. Motorola has really proven its potential on designing Moto G. Though it performs less than Moto X released by Google, Moto G makes a surprise mark in place of Moto X owing to its price. This phone may not be a priority to others, but consider while traveling it is better to prefer for Moto G.